Graham Wallas, the fifth child and elder son of Gilbert Innes Wallas, was born in Monkwearmouth, Sunderland, on 31st May, 1858. He was educated at Shrewsbury School and Corpus Christi College. At Oxford University he obtained a second class in classical moderations (1879) and in literae humaniores (1881). On leaving university he moved to London where he taught at Highgate School. Wallas, who had lost his religious faith, he was forced to resign after refusing to take communion with his pupils. For the next five years he lived on money which his father had left him in his will. Wallas eventually joined the Colonial Office where he became friends with Sidney Webb. The two men were both socialists and in 1886 they joined the Fabian Society, an organisation formed by Frank Podmore, Edith Nesbit, Hubert Bland, Edward Pease and Havelock Ellis in October 1883. Other members included George Bernard Shaw, Sydney Olivier, William Clarke, Eleanor Marx, Edith Lees, Annie Besant, J. A. Hobson, Beatrice Webb, Charles Trevelyan, J. R. Clynes, Harry Snell, Clementina Black, Edward Carpenter, Clement Attlee, Ramsay MacDonald, Emmeline Pankhurst,Walter Crane, Arnold Bennett, Sylvester Williams, H. G. Wells, Hugh Dalton, C. E. M. Joad, Rupert Brooke, Clifford Allen and Amber Reeves. Wallas soon emerged as one of the three leaders of the group, or as George Bernard Shaw put it, "one of the Three Musketeers". He became chairman of the Fabian Parliamentary League in 1887, and of its successor the political committee of the Fabian Society. Through this position he worked to establish liaison between socialists and progressive members of the Liberal Party. Beatrice Webb described Wallas during this period: "Graham Wallas, six foot with a slouching figure, good features and genial open smile, utterly unself-conscious and lacking in vanity or personal ambition. In spite of his moral fervour, he seems incapable of directing his own life and tends to drift into doing anything the other people desire. This tendency is accentuated by his benevolence, kindliness and selflessness, which almost amounts to a weakness. He preaches too, a habit carried over from his life as an usher and teacher of boys. To his disciples he appears a brilliant man, first-rate lecturer, a very genius for teaching, a suggestive thinker and a consciousness writer. It remains to be seen what else he will become beyond a skillful propagandist and an admirable and most popular University Extension lecturer. If enthusiasm, purity of motive, hard, if somewhat mechanical, work will make a man of success, then Graham Wallas has a great career before him. He has plenty of intellectual ability too - what he lacks is deliberate concentration and rapid decision, what to do and how to do it. A lovable man." 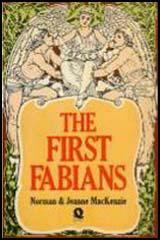 In 1889 the Fabian Group decided to publish a book that would provide a comprehensive account of the organisations's beliefs. 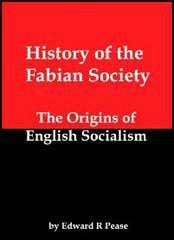 Fabian Essays in Socialism included chapters written by Wallas, Sydney Webb, George Bernard Shaw, Annie Besant, Sydney Olivier, William Clarke and Hubert Bland. Edited by Shaw, the book sold 27,000 copies in two years. With the support of the Fabian Society Graham Wallas was elected to the London School Board in 1894 and chaired its School Management Committee. In 1894 Wallas was elected to the London County Council where he became a member of the Education Committee. His biographer, Martin J. Wiener, has argued: "He remained one of the leaders of the Fabian Society until 1895, coming near or at the top of the poll in the annual elections for the executive committee. However, as the society (increasingly dominated by Webb and Shaw) distanced itself from Liberalism, he came to feel isolated." When Sidney Webb and Beatrice Webb established the London School of Economics (LSE) in 1895, they asked Wallas to become its first director. Wallas declined the offer but did agree to teach at the LSE and eventually became professor of politics (1914-23). Kingsley Martin was one of his students. He later recalled: "Graham Wallas was the most kindly of human beings, immensely stimulating and encouraging to the young. He was an eager rationalist, who resigned from the school where he taught in Highgate because he disapproved of religious instruction. He resigned from the Fabian Society in 1902 because, as he said, the Webbs had an inadequate conception of liberty." Another student, Ella Winter, had fond memories of Wallas. "Tall, stoop-shouldered in his ample black scholar's gown, he walked up and down the stone corridor with me, biting his mustache, blinking his eyes behind those black-rimmed spectacles as he listened to my outpourings." In 1918 he told Ella that his friend, Professor Felix Frankfurter, was coming to London. "A good friend of mine has come to London on a highly confidential mission and asks me to suggest someone to help him... Felix Frankfurter is a professor at the Harvard Law School and Chairman of the War Labour Policies Board in America, and is here to learn what he can from England's experience. Would you like to work for him." She accepted the post and accompanied Frankfurter to Versailles Peace Conference. Wallas argued for the humanizing of modern life and believed that educators should pay more attention to human beings than institutions. Wallas wrote several books on social psychology and politics including Human Nature in Politics (1908), The Great Society (1914), Our Social Heritage (1921) and the Art of Thought (1926). Martin J. Wiener has argued: "These books... presciently explored the fragile psychological underpinnings of both democracy and modern urban - industrial society more generally, and have had much influence on social and political thinking, particularly in America." Graham Wallas died at Portloe, Cornwall, on 9th August 1932. Graham Wallas, six foot with a slouching figure, good features and genial open smile, utterly unself-conscious and lacking in vanity or personal ambition. In spite of his moral fervour, he seems incapable of directing his own life and tends to drift into doing anything the other people desire. This tendency is accentuated by his benevolence, kindliness and selflessness, which almost amounts to a weakness. He preaches too, a habit carried over from his life as an usher and teacher of boys. To his disciples he appears a brilliant man, first-rate lecturer, a very genius for teaching, a suggestive thinker and a consciousness writer. It remains to be seen what else he will become beyond a skillful propagandist and an admirable and most popular University Extension lecturer. If enthusiasm, purity of motive, hard, if somewhat mechanical, work will make a man of success, then Graham Wallas has a great career before him. He has plenty of intellectual ability too - what he lacks is deliberate concentration and rapid decision, what to do and how to do it. A lovable man. (2) Kingsley Martin met Graham Wallas while he was studying at Cambridge University. Graham Wallas was the most kindly of human beings, immensely stimulating and encouraging to the young. He was an eager rationalist, who resigned from the school where he taught in Highgate because he disapproved of religious instruction. He resigned from the Fabian Society in 1902 because, as he said, "the Webbs had an inadequate conception of liberty". Spent two days (while Sidney was in London) alone with Graham Wallas. Long walks after dinner on the moorland in the clouded twilight of this stormy summer season - with the yellow of the setting sun peering on the horizon between thick black clouds. Poor fellow, he is in a dreary mood just now, overworked with organizing the Progressives for the next School Board election - and himself standing for Hackney - besides making his livelihood by lecturing. Graham Wallas grinds on, making no personal claims, impersonal and almost callous in his manner, an English gentleman in his relations with women to whom flirtation, let alone an intrigue, would seem underbred as well as unkind and dishonourable. All the same, he is not positively unhappy, only perpetually overworked and living in a grey cloudland of dutiful effort. Our old friend Graham Wallas has married - Ada Radford, a woman of forty or thereabouts and one of a cultivated, public-spirited, somewhat aesthetic middle-class family. She was educated at Girton, became assistant mistress of High School, then secretary to a Working Women's College, then a writer for the Yellow Book. I do not take to her. She is obviously a good woman - sweet-natured (Graham says humorous) with decision and capacity. With Madonna-like features, good complexion and soft golden hair, she ought to be pleasant to look at: but as a matter of principle she dresses in yellow-green sloppy garments, large garden hat with bows of green silk - her hair is always coming down - and generally speaking, she looks as if she had tumbled up out of an armchair in which she had slept the night, and her movements are aggressively ugly. The study of politics is now in an unsatisfactory position. Throughout Europe and America, representative democracy is generally accepted as the best form of government; but those who have had most experience of its actual working are often disappointed and apprehensive. writers of the early nineteenth century has made modern students of politics over-anxious to avoid anything which recalls their methods. That advance therefore of psychology which has transformed pedagogy and criminology has left politics largely unchanged. The neglect of the study of human nature is likely, however, to prove only a temporary phase of political thought, and there are already signs that it, is coming to an end.